THE 13-MINUTE MURDER is an interesting concept. 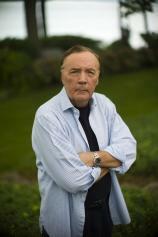 The book contains three separate short thrillers (including the title story), each written by James Patterson and a different author. It’s an entertaining presentation, and a convenient one, giving readers a compact volume with varied selections to enjoy either while waiting for whatever appointment one might encounter or during scheduled reading time. Anything that encourages and facilitates the act of reading is to be praised, and Patterson is a master at this, as he demonstrates here. The first piece, “Dead Man Running,” is co-written with Christopher Farnsworth, with whose work I had been generally unfamiliar. I will attempt to rectify that after reading this story, which is full of explosions, twists and turns. The immediately sympathetic protagonist is a psychiatrist named Randall Beck, who is in a race against time with himself. Randall has an inoperable brain tumor but is determined to live out his final days helping others through therapy. It is while doing this that he inadvertently uncovers a plot to assassinate a presidential candidate. By virtue of his attempt to stop the act from occurring, Randall is thrust into the middle of it, accidentally taking fellow psychiatrist Susan Carpenter with him. That Randall and Susan are romantically (and secretly) interested in each other makes for a nice, if bittersweet, subplot. The entire story is a unique twist on the theme of a person who has nothing to lose by his or her actions and thus is difficult to stop. "Kudos to Patterson and his contributors for producing yet another format to bring folks to the bookshelves. More volumes of this sort are on the way, providing a method of exposing prospective readers to new and different authors." Max DiLallo should be well known to Patterson fans as one of his go-to collaborators on such books as ZOO 2 and THE CHEF. DiLallo’s contribution, “113 Minutes,” is both a caper story and a revenge novel, but is primarily about a mother’s love. Molly Rourke is experiencing an otherwise typical day when she receives the worst news that any parent could get: her son, Alex, has died as the result of a drug overdose. She knows who provided him with the deadly substance, but there isn’t much she can do about it. Or so it seems. With the help of her brothers, who have some extensive skill sets, and a capable family friend, Molly sets a plan in motion to see that justice is done. However, it appears possible that, if justice is to be served, it may entrap her as well. This is a fast-moving story that has a couple of surprising twists that you might see coming, though not in the way you would expect. The title story’s co-author is Shan Serafin, who also is arguably best known for his collaborative work with Patterson. This novella introduces Michael Ryan, an obsessive-compulsive assassin for hire who plots his hits down to the last detail. It opens with Ryan and an associate plotting to take down a Harvard student who is the son of a Croatian crime boss. Everything that can go wrong does, and Ryan soon finds he is a target himself. As one might expect, he does not go down easily, leaving a trail of dead bodies in his wake. As an added bonus, Ryan is a bit (how can I say it?) unusual. He is not really a sympathetic character, but one cannot help cheering him on…or, at the least, not finding fault with his selection of targets. Similarities to a fictitious film character do not exactly abound but are present in some numbers. 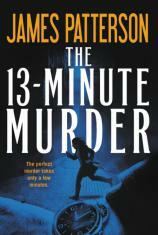 Still, “The 13-Minute Murder” will hold you until the third installment in the referenced movie franchise appears. Kudos to Patterson and his contributors for producing yet another format to bring folks to the bookshelves. More volumes of this sort are on the way, providing a method of exposing prospective readers to new and different authors. Good on them.